In a round baking pan, place the pastry brisée with baking paper. Create a border. pierced with a fork all the pastry and cover with baking paper to retain the border during cooking. Bake at 180° for 10 minutes. While pastry is cooking, crumble the bread sticks in a bowl. 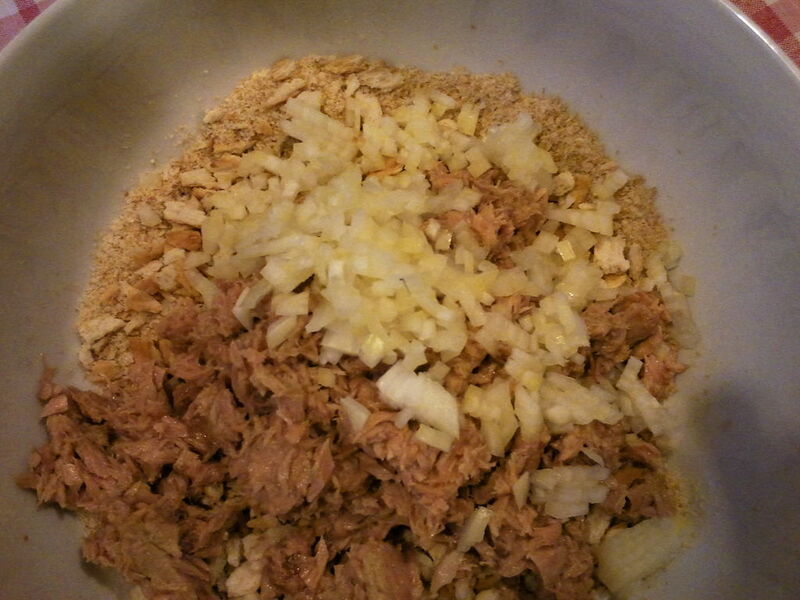 Add the tuna, drained and chopped. Add a little oil and mix well. Spread the mixture over pastry. Cut the tomatoes into slices and cover the mixture. Add salt, pepper, and oil. Cut the mozzarella into slices and spread over the tomatoes. Add oil and sprinkle the oregano. Bake at 180° for 15 minutes. Cut and serve hot ..